Please fill out the form below to have Cruise One Dream Vacations contact you with more information. 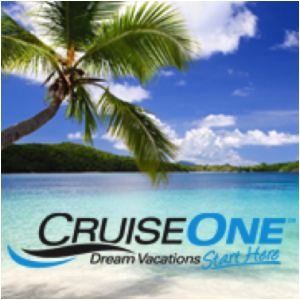 There are many cruise and all-inclusive resort discounts offered by CruiseOne, these specials change often. I am an independent cruise and vacation specialist here in the Southern Minneapolis area. That means I don’t work for a specific cruise line or resort, I work for you. I can book your honeymoon cruise or all-inclusive resort and can match or beat any price you find out there. As a CruiseOne agent, I am a part of the largest vacation retailer in the United States, and I don’t only guarantee exceptional insider savings and special fares, but I provide all of my customers with distinguished, top-notch personal service every step of the way. I have expert knowledge and experience with the most popular lines including; Disney Cruises, Royal Caribbean, Carnival, Norwegian Cruise Lines, and more. A cruise vacation offers the best value for your money, but it is still no small investment, I will work hard to find the perfect honeymoon experience you and your fiancé are looking for and at the best possible prices available. I have three words to explain about Noel’s service – awesome, awesome, awesome! We just returned from a 15 day cruise to Hawaii arranged by her through CruiseOne. Her arrangements included a one night hotel stay prior to debarkation, transportation to the ship and then to the airport after the cruise was completed, as well as all our accommodations on the ship. I would highly recommend Noel not only for what was arranged for us but also for her professionalism. This is one travel agent who does exactly what she says. So, if you’re interested in an efficient, honest, and personable agent, she’s the one for you. I know she’s the one for us. Noel knew we were cruise novices and went the extra mile to make sure our cruise was PERFECT! And it was. She is such a professional and a joy to work with….can’t wait to go on our next cruise…with Noel at the planning helm!